After many years, I began to take some of the emotion out and use my own tried-and-true problem-solving methodology. Back to the basics. I’m a pretty simple guy without a single hour of formal education beyond high school, so I usually use past experience and analogies from my life to learn. What I applied was something that made it easier to understand where I was in relation to “fixing” my son. Many years ago, I worked as a laborer in the local laborers’ union. Most of the time, if I wasn’t on the end of a 90-pound jackhammer busting out concrete, I had a machine in my hands pouring it back. That experience became a metaphor for life. Life is like a sidewalk. As I walk along that sidewalk, I look back over my shoulder. There is a concrete sidewalk behind me that has hardened and set. There is nothing I can do to change that concrete now. Around my feet the concrete is wet but it is quickly becoming hard. If I don’t keep moving forward, I will become trapped in that hardening concrete. In front of me the concrete is wet and pliable. I can shape that concrete any way I chose. I can look back over my shoulder and see the hardened concrete and learn from where I walked, but I cannot change it. Ahead of me I can shape the concrete into a path I choose. I can add curves or hills. I can work it to be as smooth or rough as I want. I have the power to shape my sidewalk. Sometimes I can walk along and do nothing, leaving it rough and ragged, sometimes I am on my knees working it with the care and tenderness of soothing a baby. My sidewalk becomes my choice to design and make. When my son was struggling with the disease of addiction, I hate to think how many times in our “discussions” (read: loud arguments) I started with an accusatory, “You did X. You did Y.” At the time that was important. “You did” was a way of keeping score and also trying to change the shape of that sidewalk over my shoulder. We all say it, and most of us have had it said to us. But the fact remains that defensiveness is not a good way to begin any dialogue. If we don’t work on ourselves first, we cannot effectively work with anyone else. 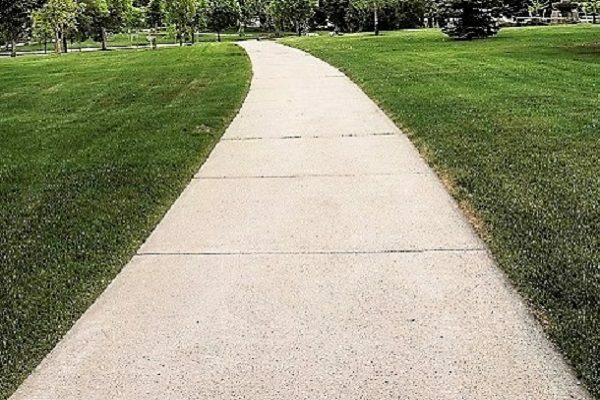 It’s hard when we are wrapped in emotion, but when we realize and accept that the sidewalk behind us is unchangeable, we can more easily begin to address the things that really do make a difference. To Begin Helping, Start Talking. Want to address your son or daughter’s substance use? Learn how to have a conversation — not a confrontation — with your child. Here is another link to something I wrote about relapse and The Partnership put on their site too. I know how scary a relapse can be and your continued support can make all of the difference. Often our kids who are trying to change how they respond in a given situation struggle with staying the course and it takes practice. Call us if you need more support. We’re here to listen and help you navigate this journey.